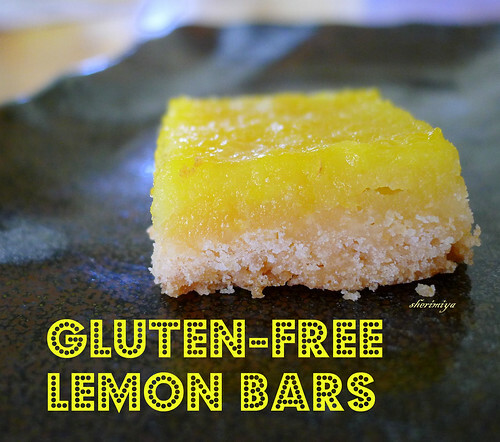 Happy Little Bento: Gluten-Free Adventures: Lemon Bars! Lemon Bars (gluten-free), a photo by sherimiya ♥ on Flickr. Since we were gifted with a couple of bags of Meyer lemons recently, I thought it would be a good excuse to try out some gluten-free lemon recipes. I used some of them for the lemon blueberry bread I posted about here, and this time I decided to try lemon bars. I'm not a big fan of lemon bars; neither am I expert at crust-making, but that said: these lemon bars were pretty darn good! I found a recipe at Serious Eats that seemed easy enough, and I followed it very closely. It requires a bit of muscle (and talent) to make the crust well, but if I'm not mistaken, it's really the buttery crust that MAKES the lemon bar. I mean, the rest of it is just lemon, sugar and eggs, right? Turn dough out onto counter. Press into a ball. Press dough evenly into prepared pan. (To make this easy, I divide my dough in four pieces and place one piece in each corner of the pan. I then press the dough down and toward the center of the pan until the pan is evenly covered by the dough.) Chill for 15 minutes. Bake crust until golden brown, about 40 minutes. While crust is baking, rub sugar and lemon zest together in medium bowl. When crust is golden brown, remove pan from oven. Set aside on a wire rack. 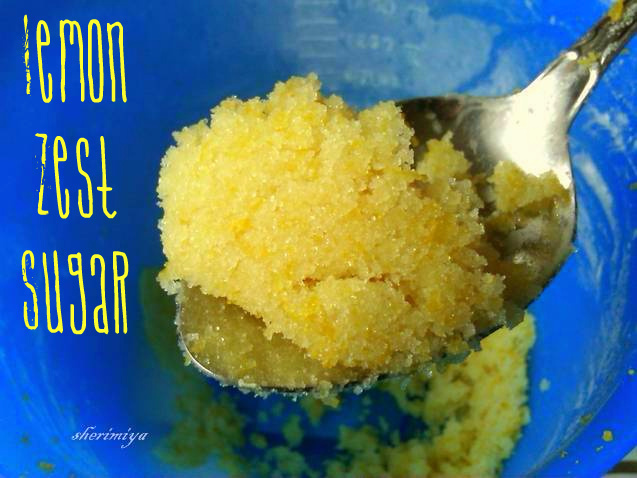 Add eggs, lemon juice, and white rice flour to granulated sugar. Whisk until smooth. Pour over crust. Return pan to oven. Bake until filling is set and does not jiggle, about 12 minutes. Remove pan from oven and place on wire rack to cool. Chill bars for two hours, or overnight, in the refrigerator. Lift bars, using parchment paper as an aid, out of pan. Dust with confectioner’s sugar, if desired. Cut into squares. Oh, and is this really a gluten-free recipe? Who can tell? I could've eaten the whole crust by itself, lemon or not. But of course, the lemony part was just sweet and eggy enough. My crust was a bit uneven and lumpy in sections, and the lemon part not uniformly thick, but I'll tell you the kids didn't care. And the lemon zest sugar? I couldn't stop inhaling that. This one was a hit. Definitely one to repeat! Aw, thanks much Ꮮуռ (ᶬˠ ᶩᶤᵗᵗᶥᵋ ᵐᵋˢˢᵞ ᴻ ᶜʱᵋᵋᵏᵞ)! Okay, you know it's a good recipe when just reading about it makes your mouth water.